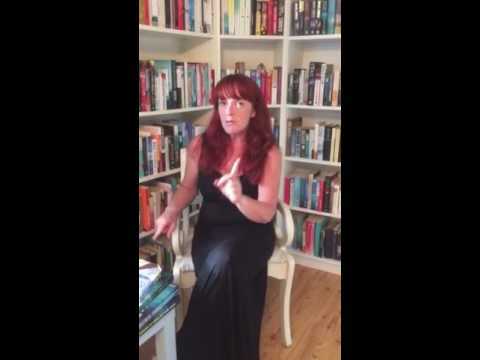 BleachHouseLibrary.ie: Book Review - 'The Memory of Music' by Olive Collins. 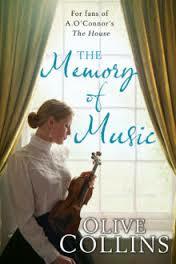 Book Review - 'The Memory of Music' by Olive Collins. Ireland 2016 and Isabel is approaching her 100th Birthday. Born during the Easter Rising, she has lived through some of the country's most turbulent times. The daughter of a spirited woman and gifted violin-maker, the memories come to life when she hears the music of her past. Dublin 1916 and Betty is about to give birth, alone. Irish rebels are taking over the city and she fears for her husband's safety. Huddled in a tenement building, close to the GPO, she vows to improve her circumstances, with or without her husband's consent. Historical fiction can sometimes be weighed down by the authors research and the characters can become victims of their historical relevance. This is not so with The Memory of Music. While it is obvious that the author has an intensive knowledge of 20thC Irish History, especially the years surrounding our desire to break from English rule, she does not drown the reader with facts. Rather, she gives enough detail to relate the characters to their situations and leaves the reader with a taster that may result in further research, if desired. A teaser, if you like. The writing is fluid and clear, with the novel split into three parts; the first part centered around the events of 1916, the second on Treaty negotiations and the War of Independence, whilst the final part leads the novel towards current times. There are a gaggle of female, cross-generational characters in part three and I found myself struggling to retain their relevance to Seamus and Betty's story. The idea of discovered letters is nothing new, but add in some torn photos and antique violins and furniture and it ups the game. This is a great read, ideal for fans of Marita Conlon-McKenna's Rebel Sisters or RTÉ's recent TV drama, Rebellion. A very worthy debut, ideally timed for the 1916 centenary celebrations and the upcoming anniversary of the War of Independence. In its simplest form, Rap is just a combination of speech and music. In fact, it would be better to say that rap is actually speech that has been laid on beats and rhythms.